My Blog http://strategicstudyindia.blogspot.in today has crossed 8 Million views. On 21 July 2018 my blog crossed seven million mark. It took three and half months to reach from seven million to 8 million hits. Language Issue. Latin America does not view this blog probably for language reasons. Same for Russia, Japan. China has banned my site for viewing. When in China I could not access. No idea why hits from Africa is very less. In India very few people read serious issues. A blog on Bollywood would have attracted much more eyeballs. Same is the condition in South Asian countries. 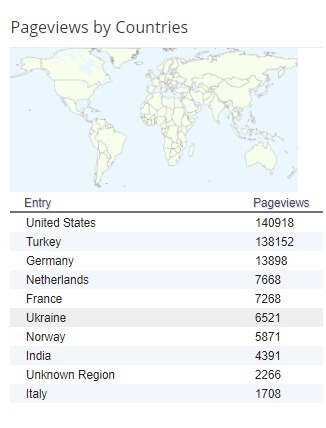 Many a times Singapore has more page views than India. Google is not willing to put ads because of some policy issues. I don’t want to make it a paid site. Any idea how can I generate some revenue so that I can employ some people to carry this forward. Doing it alone is a tough job. I am not getting younger! Many unexpected but important developments are taking place in India’s neighbourhood. New political dispensations with new agendas have emerged in Pakistan, Bhutan, Sri Lanka, Bhutan, the Maldives, Nepal and Pakistan. Besides, one would have to await the elections in Bangladesh in the next few months. Presidential elections are due in Afghanistan next year. 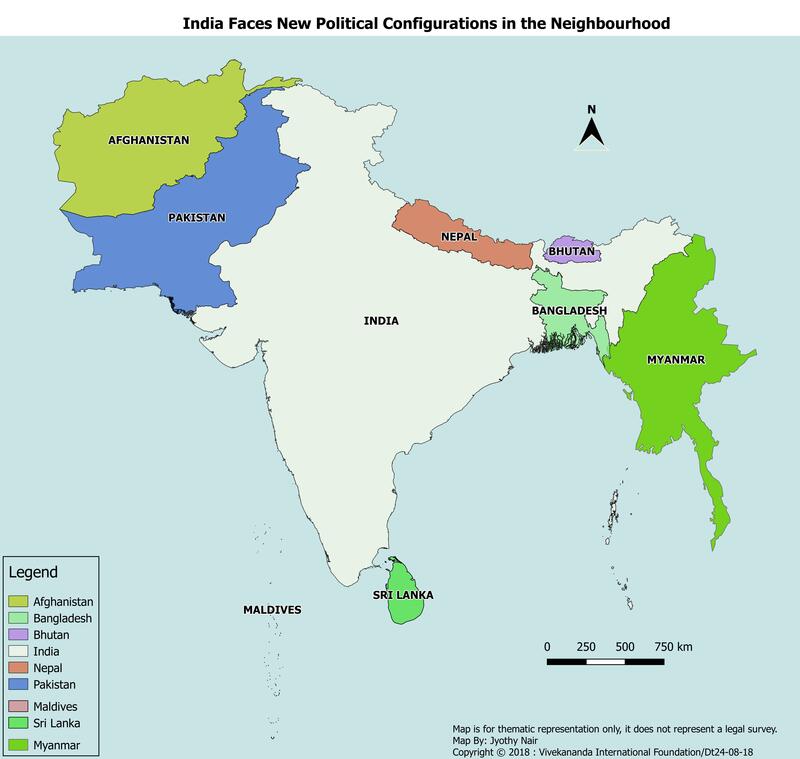 India’s “Neighbourhood First” policy will have to take into account these changes and tweaked, if need be. While populism is sweeping through Europe, North America, and now Brazil, it is also making gains in Southeast Asia. The region’s autocratic-leaning populists—those who have already ruled and those who are attempting to win power—use similar strategies: positioning themselves as outsiders who can solve problems where elites have failed, offering brutal approaches to crime, and targeting vulnerable groups within societies. Ultimately, these actions undermine democracy. The Philippines and Thailand, two of the region’s six biggest economies, already have autocratic-leaning populist leaders, and a third, Indonesia, could be run by one after a presidential election next year. The emergence of such populism could further erode democracy and stability in a region that had, until the past decade, been growing freer. 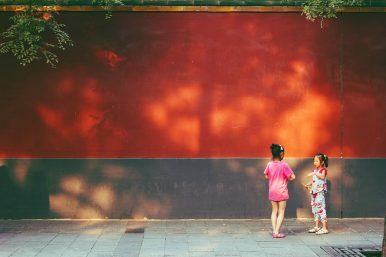 China officially approved a two-child policy in October 2015, ending decades of generally allowing families to have only one child (though there were many exceptions added throughout the years). Faced with a rapidly aging population, China’s government hoped the new two-child policy – coupled with a blitz of government propaganda encouraging more births – would help boost the birth rate. Three years later, and that hope, as many experts predicted, is unfulfilled. The U.S. State Department Bureau of Counterterrorism recently released its annual report on terrorism. Thereport concludes that despite the success of efforts to dismantle ISIS, “the terrorist landscape grew more complex.” Extremist groups such as ISIS, al-Qaida, and their affiliates are proving resilient and adjusting to heightened counterterrorism pressure with new attempts to destabilize, seize, and govern territory in fragile states. This shift in extremist strategy underscores the need for the kind of “preventive” approach outlined in the interim findings of the Task Force on Extremism in Fragile States. Jordan’s reputation as a stable nation and a key ally in the fight against the Islamic State in Iraq and Syria has positioned it at the forefront of the U.S.-led “War on Terror.” But growing signs within the Kingdom suggest that the country, for all of its ties to the West, could soon become a serious post –Syrian target for the Islamic State. In August 2018 , a terrorist attack in the city of Al-Salt killed four Jordanian security officers and injured sixteen civilians. Five Jordanian nationals subscribing to the radical ideology of the Islamic State were arrested following the attack. The attackers had large amounts of homemade explosives buried nearby, which were intended for future attacks on civilians and security installations. Thank you, Dr. Chipman, and Excellencies, Ladies and Gentlemen. It's truly a pleasure to be back here at the Manama Dialogue. A special thank you for the foreign minister of Bahrain for its traditional and well-known warm hospitality to borrow the words of a former U.S. ambassador to the Court of St. James and Chairman of the Joint Chiefs of Staff, Admiral William Crowe, Bahrain has and I quote here, "pound-for-pound." So, thank you very much to Bahrain for its continued leadership in this regard. 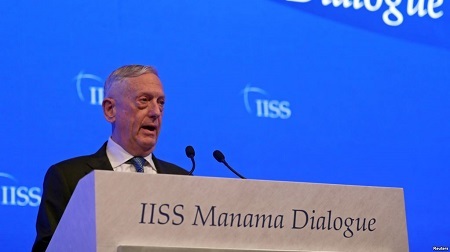 Hosting the Manama dialogue is I think a prime example of Bahrain's leadership making clear that the size of a nation's territory does not determine the impact of its commitment to regional security. And now in its 14th iteration this worthwhile forum, the Manama Dialogue, brings together from across the Middle East and across the globe those committed to crafting a better future and exchanging ideas and sharing best practices. WASHINGTON: The Pentagon has been ordered to slash its 2020 budget request by $33 billion, about five percent, the military’s No. 2 official said Friday. The surprise cut comes at a critical time for the department, which has enjoyed two years of budget growth under the Trump administration, and raises questions over key modernization programs. FORGET RUSSIA: IS FINLAND THE HYBRID WARFARE CHAMPION? Russia is supposed to be the master of hybrid warfare, that shapeshifting amalgamation of regular and irregular war. But has Russia met its match in little Finland? … “The lessons from Crimea were by no means lost on the Finnish defense establishment,” note Swedish researchers Michael Jonsson and Johan Engvall. Since 2014, improving the readiness of the Finnish Army has been a major priority. A government Defense White Paper of February 2017 outlines a system of rapid reaction forces and swift-mobilization units among all services and troop types. PeaceCon 2018 - To Better Halt Wars, Does America Need a ‘Crisis Command’? According to new research, 98% of leading companies across the U.S. and Europe are vulnerable to cybercriminals through their web applications. While this figure may seem high, it will surprise neither the companies themselves nor independent security experts. Most large companies readily admit that they have shadow IT and legacy applications they do not know, and that this at least theoretically makes them vulnerable. It is generally considered to be an acceptable risk. The purpose of this research from High-Tech Bridge (HTB) is designed to show that the problem is far bigger and less acceptable than most companies imagine. It was prompted, at least in part, by HTB's experience with one particular U.S. government agency client. With Europe passing the General Data Protection Regulation (GDPR) — a significant piece of data protection legislation with global implications — and now California implementing a new privacy law, coupled with several high-profile incidents involving companies exposing consumer data, there is a growing push for federal data privacy legislation in the United States. Defense Secretary Jim Mattis plans to embark on a listening tour later this summer to gain a better grasp of the technological challenges facing U.S. military forces. “He is interested in learning more about innovation and technology,” said Joshua Marcuse, executive director of the Defense Innovation Board, a Pentagon advisory panel of government and private-sector officials. Marcuse said Mattis wants to visit military installations and hear first hand about what’s working and not working in the technology arena. Mattis, since day one as defense secretary, has communicated his concerns that U.S. forces might be losing their technological edge, and he is looking at what specifically could be done to turn things around. The Defense Innovation Board is “helping him think through this,” Marcuse told RealClearDefense. A serious conflict has arisen between Moscow and Minsk over a proposed joint military defense strategy document. The Russian side declares that it will treat any attack on Belarus as an attack on itself (see EDM, October 23) and thus needs to have a Russian military base on Belarusian territory—something it wants to write into the proposed new doctrine. Yet, the Belarusian side has strongly resisted, not only because it fears that Russia might use such a base to undermine Belarusian sovereignty, but also because Minsk does not view the North Atlantic Treaty Organization (NATO) as its only threat. The existing military doctrine of the Union State of the Russian Federation and Belarus was adopted in 2001, and both sides agree it needs to be updated. But their views fundamentally diverge on what the new doctrine should contain, even though each side is making a public show of unity. Illustratively, four days ago (October 26), the Parliamentary Assembly of the Union State agreed to forward a draft updated joint military doctrine to a December 13 session of the Union State’s Council of Ministers for approval. If that body signs off on the document, it will be forward to Presidents Vladimir Putin and Alyaksandr Lukashenka for their signatures (Soyuz.by, October 26). The U.S. armed forces are good at many things, but conspicuously bad at managing talent. As a result, many good officers are quitting. The Army’s latest leadership survey found that fewer than half of active-duty junior officers hoped to stay in the military after 20 years of service, when their pensions kick in, and only half of active-duty leaders say morale is high or very high. In the Air Force, which has a shortfall of some 2,000 pilots, the problem is acute. The Defense Department recognizes the problem, but hasn’t done enough about it. Perhaps Congress can do better. 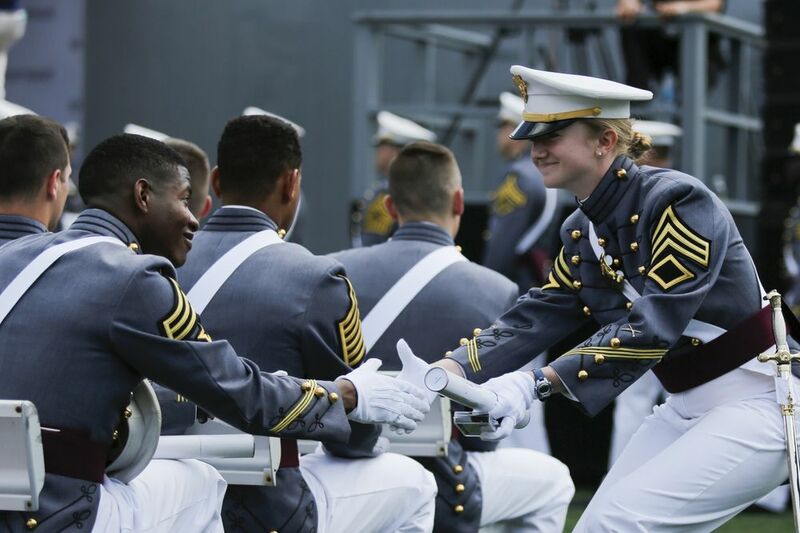 Its latest defense policy act calls for change — including reform of the services’ longstanding “up-or-out” promotion system. Together with a few other reforms, that would help a lot. WASHINGTON — In mock battles at the Army’s massive combat training centers in California’s Mojave Desert, Louisiana’s pine forests and Germany’s mud, the service is spending less time preparing troops for meetings with village elders and more time training soldiers how to respond to artillery barrages and attacks from enemy fighter bombers. After spending the last 17 years fighting grinding counterinsurgencies in places like Iraq and Afghanistan, the Army is shifting its gaze. This year’s National Defense Strategy charged the military with preparing for high-intensity conflict against major nation-state threats like Russia, China, Iran and North Korea. The Army is falling in line.